Choosing the right payment solution for your app could be tricky, especially if you’re running a global marketplace. The prospect of dealing with country-specific regulations is not something I look forward to while getting on a new project. Also, there is a lot of boilerplate that you have to handle to get recurring billing to work. Stripe seems to understand the pain thousands of developers face every day and solves it pretty well. In this article, I will demonstrate how to integrate Stripe into your Rails app. Read on. Before we begin, you will need a Stripe API key. You can obtain one by signing up with Stripe with your bank details. There are two different set of keys, one for your test and one for production. With that out of the way, let’s setup our payment page. NOTE: You should use a test card in development mode. You can find more details here. Fire up this view in a browser and you’ll see a ‘Pay with Stripe’ button. On click, it opens a modal for taking the user’s credit card information and authorizes it. The user’s card has not been charged yet, Stripe has merely authorized the card and said the card is valid. 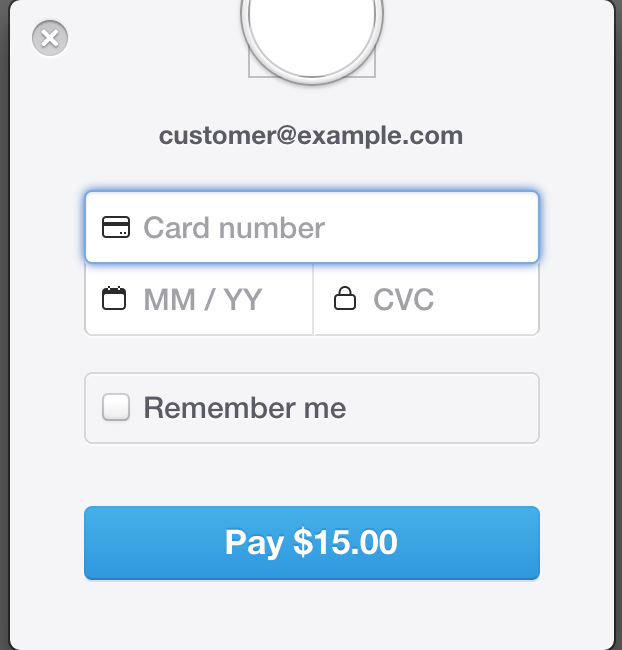 This happens in the background and, once Stripe is done with the necessary checks, it will post to the /stripe_checkout endpoint we’ve specified in the form. flash[:notice] = "Successfully created a charge"
When we receive the callback from Stripe, it sends a stripeToken with it. This is a hashed reference to the user’s credit card and has a short lifetime. We can use the Stripe::Charge module to create a charge with this token before it expires. At no point will Stripe send us the card number. This way, we don’t have to worry about the security of user’s credit card data. Congratulations, you’ve created your first charge in under 10 lines of code. 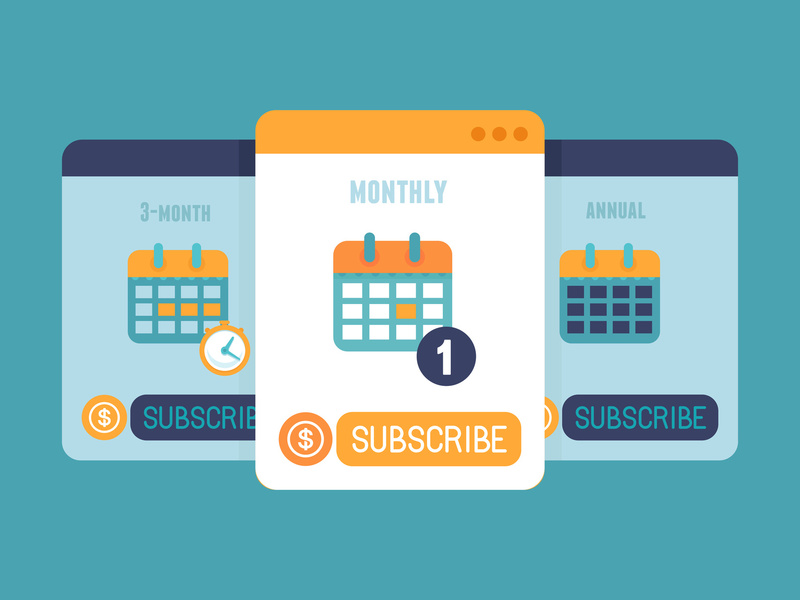 Stripe makes it really simple to integrate subscriptions into your app. First, you’ll need to create a bunch of plans in your dashboard. Let’s build a simple form which will talk to Stripe and do that for us. = select_tag 'interval', options_for_select(['month', 'year']), multiple: false, :include_blank => true,  class: "form-control"
flash[:notice] = "Plan successfully created"
Here, we use Stripe’s client to create a plan for us. The parameters include the amount, interval, currency, and name of the plan. Stripe will save the amount in cents, so make sure to multiply the user’s input by 100. If you wish to offer a trial period before actually charging the customer, send a trial_plan along with the request. Remember, these plans cannot be modified, so if you need to edit the amount or trial period, create a new plan. Ideally, you should save this into the database to avoid unecessary roundtrips with Stripe. But for this article, we’re a going to bypass that and fetch the plans directly. As we discussed earlier, Stripe does not charge the card at this point. It sends the customer data with the stripeToken to our endpoint. #This should be created on signup. Stripe subscriptions are usually associated with a customer, so it can charge them recursively. Stripe::Customer is the equivalant of our User model. It’s a normal practice, especially if you run a subscription service, to create a Customer with Stripe right at signup and associate it with the user. But for brevity sake we’re creating a customer at the time of subscription. While Stripe will automatically take care of the billing, it happens asyncronously and our app won’t know whether the charge succeded or not. 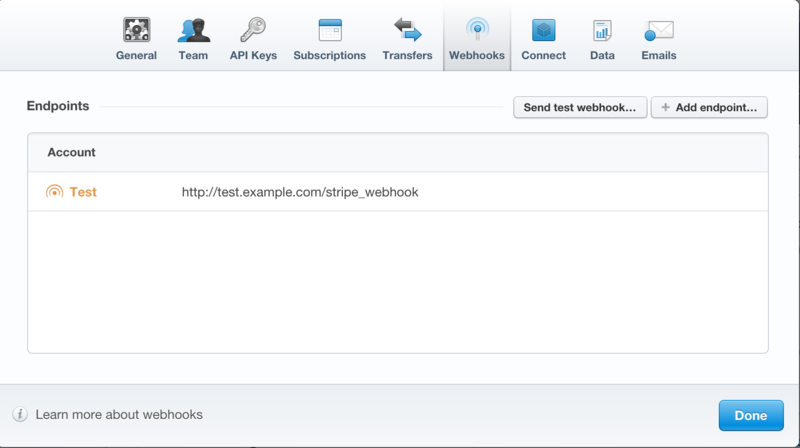 In the case of recursive payments, Stripe interacts with our app through webhooks. Let’s see how to setup web hooks in our Rails app. Stripe is now ready to broadcast events to our Rails app. The above code receives the Stripe event and orchestrates it to the right methods. You can see each specific event type here. NOTE: In production, you probably want to mask this endpoint with a random hash or it might be easy for a third party to mimic Stripe’s events to get unauthorized access to your app. Stripe is a wonderful tool. It saves developer time and helps businesses focus on their core competence. Feel free to add our Stripe expereinces in the comments. All the code snippets used in this article is available on Github.